Beginning with the election of Donald Trump ( The Loneliest Man in the World ) and expanding back and forth into American history, surveillance, violence against the individual, the denormalizing of misogyny and the rehumanizing of public space. 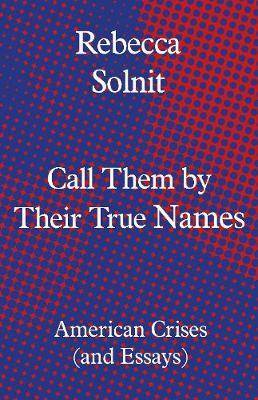 The ultimate focus of the book is climate and feminist activism, bringing Solnit's trademark deep analysis to bear on a range of contemporary crises. And again, and spectacularly, she shows us how to hope.